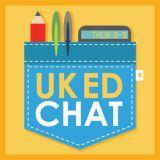 As we all know, education is an essential part of life but do kids spend enough time at school? Should their day of learning be extended or are they already doing enough in class? This topic has been debated over the years, so Sophie Davidson takes a closer look at the pros and cons of keeping children longer. Time flies during the day but with extended school hours teachers will be able to plan more thorough, varied and engaging lessons. They’ll be able to spend more one-on-one time with each student and children will have more time to complete lengthier tasks like art projects and other classroom activities, and won’t be constantly hurried from one task to another. Schools can also use an online communication service like ParentMail to keep busy parents updated with their child’s progress and keep them informed with what’s going on in school. According to a cross-party group of MPs, white working class children are consistently underperforming at school. It’s been argued that longer school days would give them somewhere quiet and comfortable to do their homework and help them develop a more positive attitude towards education. With white boys and girls leaving school with worst qualifications than other ethnic groups, politicians are calling for urgent action to be taken. With the cost of living on the rise, many parents have to work. If schools stayed open until 6pm at night, caregivers would find it a lot easier to pick their children up without having to worry about childcare arrangements. 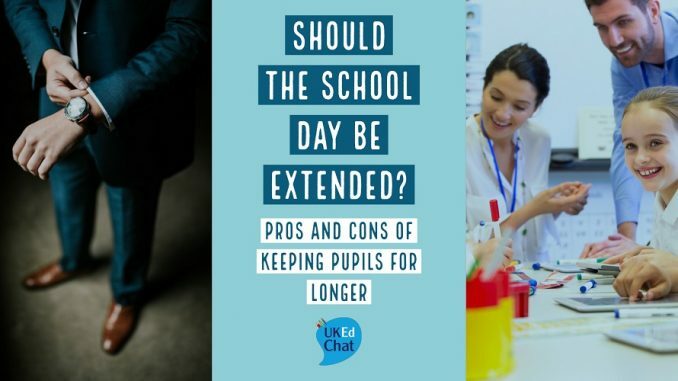 There should also be no arguments about homework as it would have already been done and if the new, longer day included a range of extra-curricular sport activities after the core school hours, kids would hopefully be fitter and healthier. When I think about this statement I am immediately drawn to your private day nurseries. Some of these open at 7am and run till at least 6 at night. Often children will arrive at this time and leave relatively close to 6. While I don’t agree with such long hours for our under 5s they adapt and I believe if the school day was extended older children would adapt too. Now you may comment that in these circumstances children are brought into a play based centre where they would have a nap; where there is little expected learning when compared to a school. Yet, many Pre-School children do not nap; nurseries still have a curriculum to follow; practitioners still need to record children’s development and in very simple ways children’s abilities are being tested. I don’t necessarily see a difference. Change 2 A year-round school calendar of four twelve-week terms with 4 plus 2 hour days for Secondary Education will improve learning and decrease cost. The U.S. has the best universities in the world and students only have 15-20 fifty-minute class periods per week. Our most successful students also have structured unstructured time for labs to apply knowledge or get involved with skill improving extracurricular activities. Germany schools produce the world’s most productive workers and more than half her students finishes at 1 PM. A 4 plus 2 day has four 50-minutes traditionally structured classes in a row and two hours of structured unstructured time when a student’s Individualize Curriculum is determined. Students can work, take more academic classes, volunteer, create a group to compete for academic prizes, attend career-focused academies, play sports or let American ingenuity provide relevant learning experiences. ciara i disagree with you i think school should start at your time so students don’t have to wake up early to get ready for school.